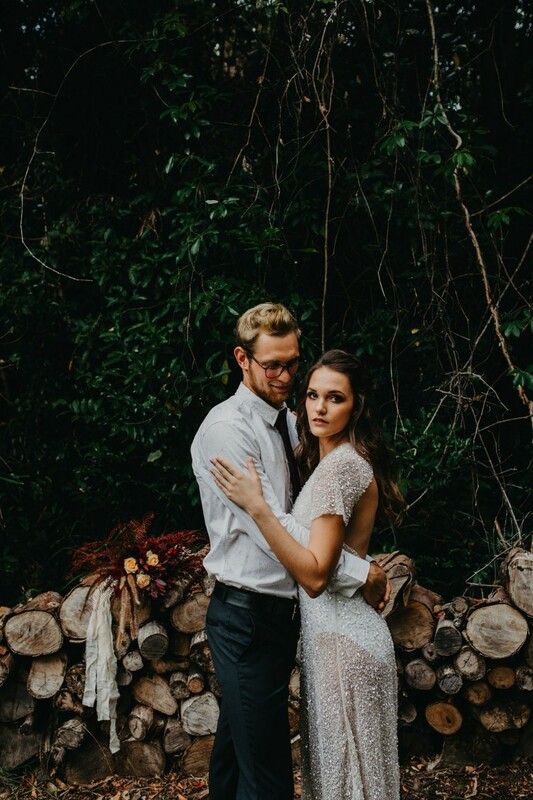 "Capturing these two and this cute moment for them was greater than any styled shoot we could have put together." 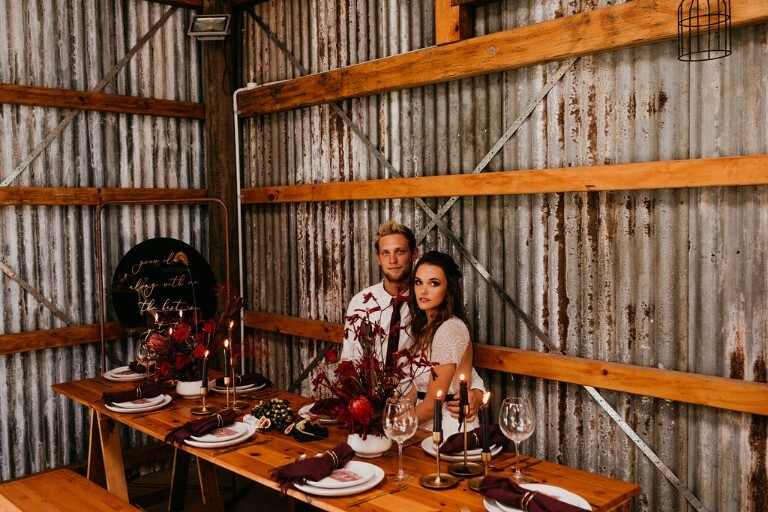 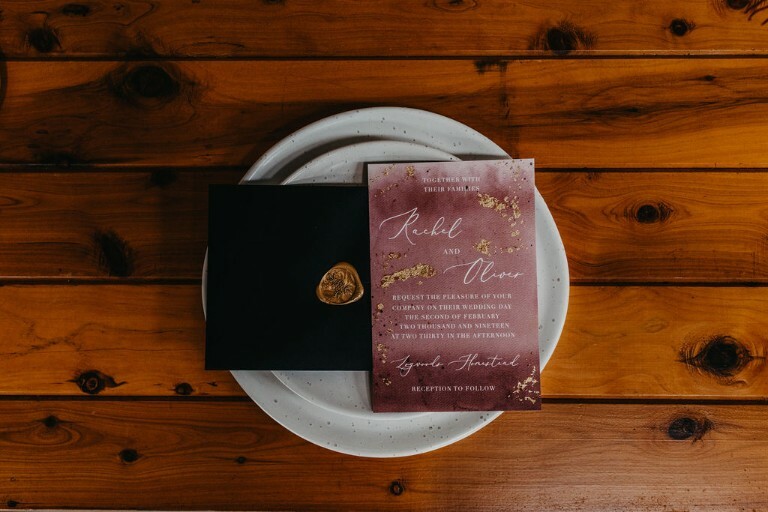 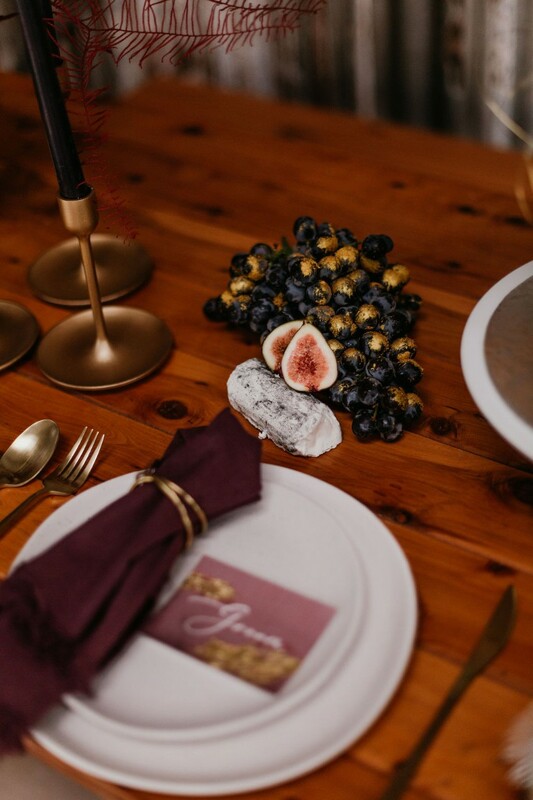 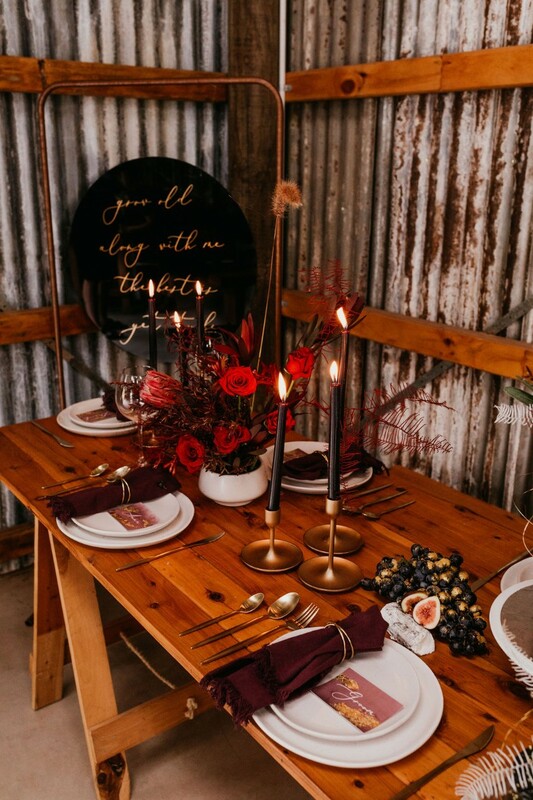 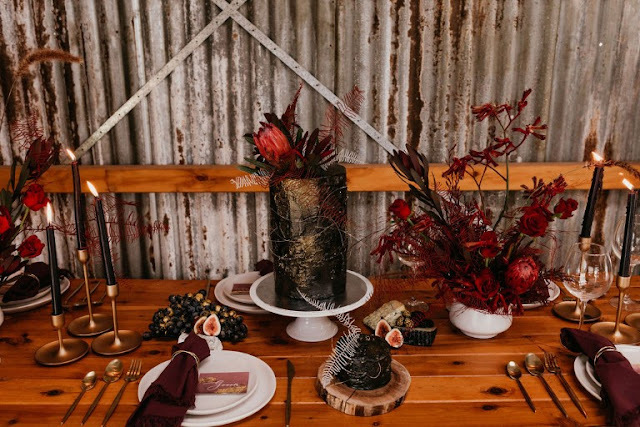 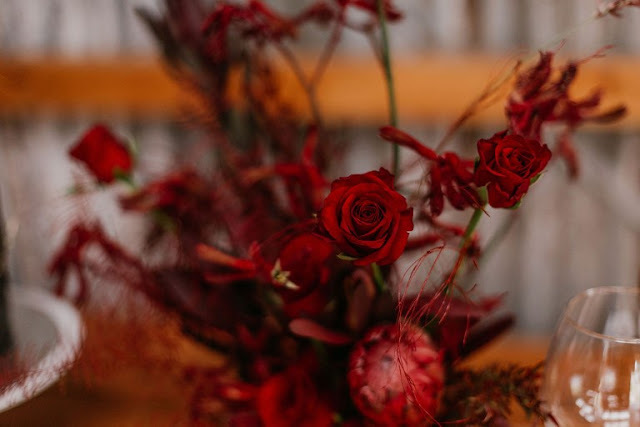 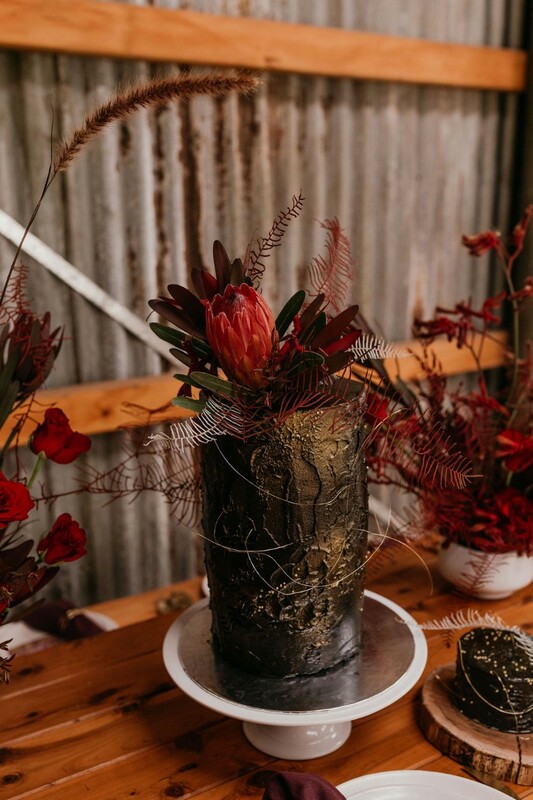 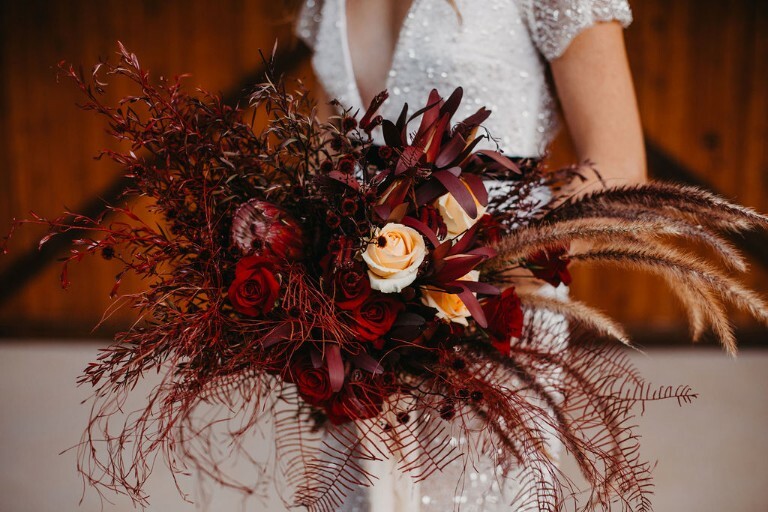 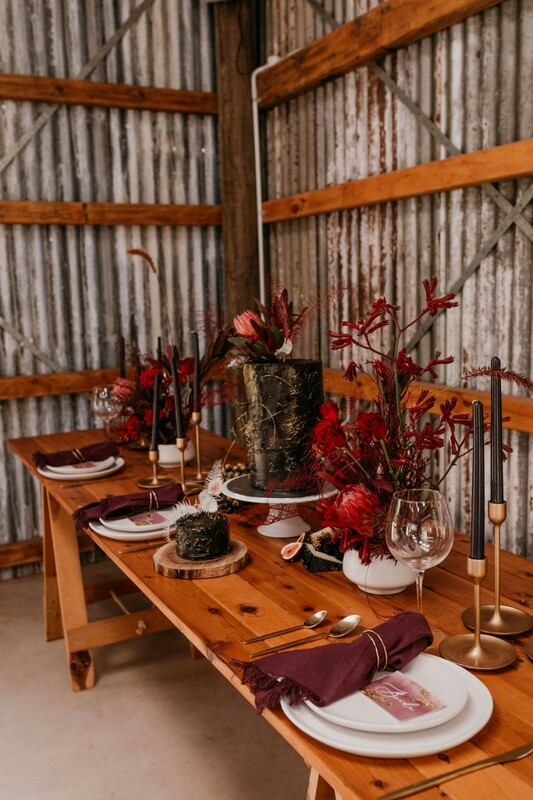 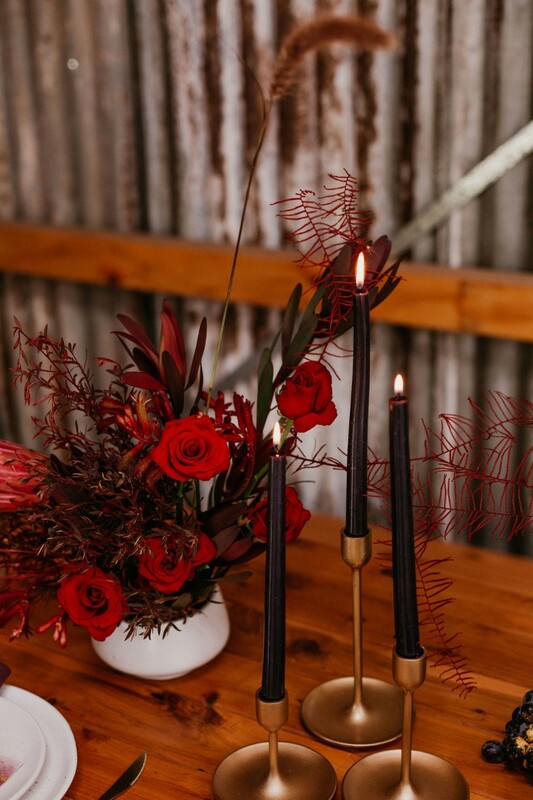 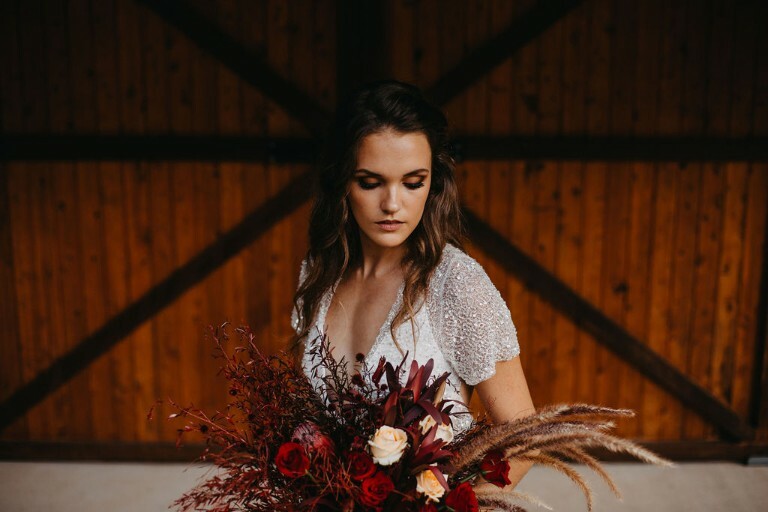 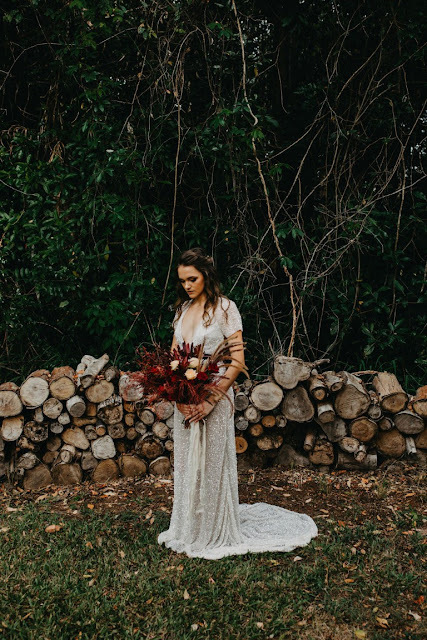 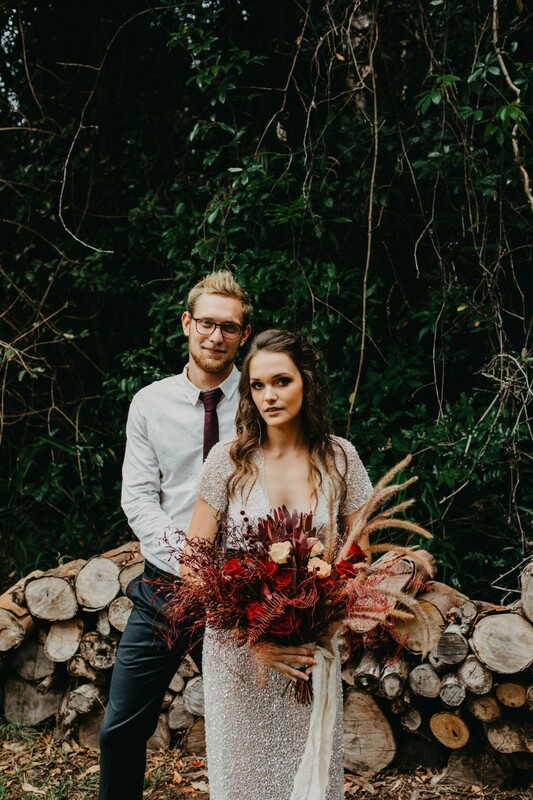 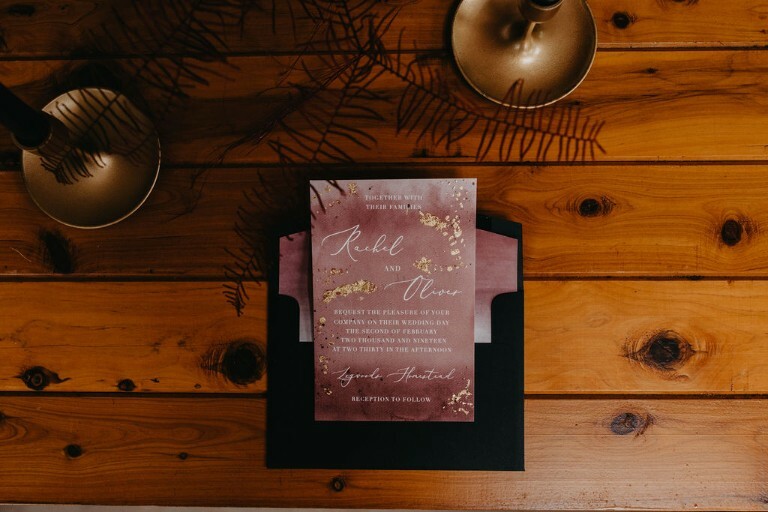 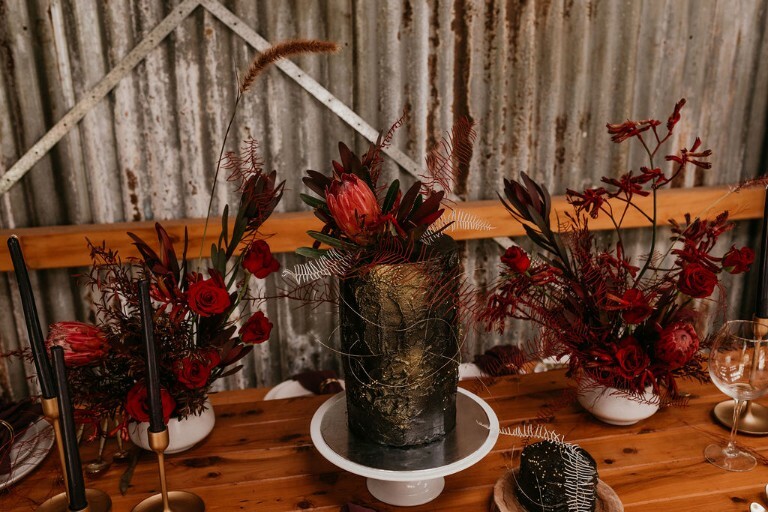 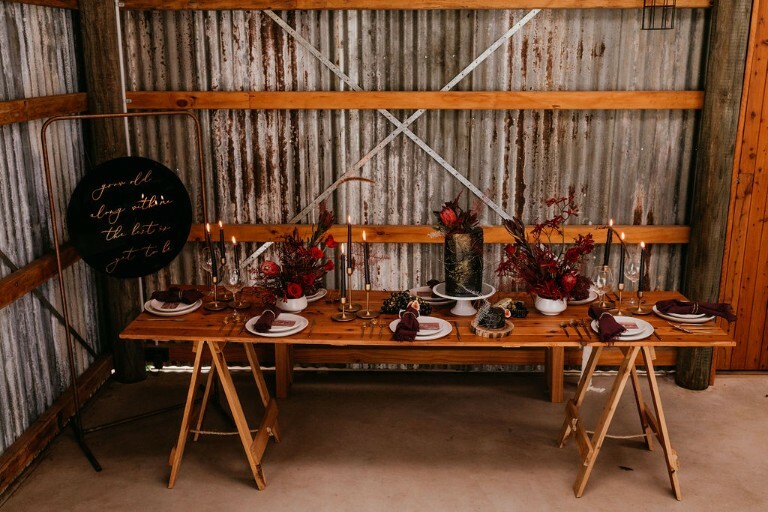 For this particular concept, we wanted to create a rich colour palette with red, black and gold that would tie in seamlessly with a rustic barnyard setting. The idea was to create a moody vibe with deep contrasts, natural timber and warm lighting for the ultimate winter wedding inspiration. 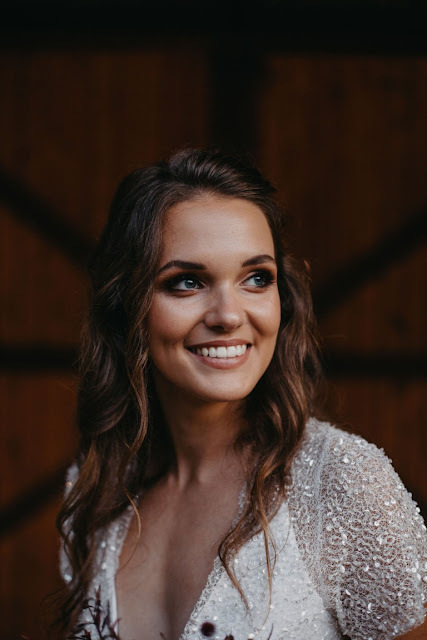 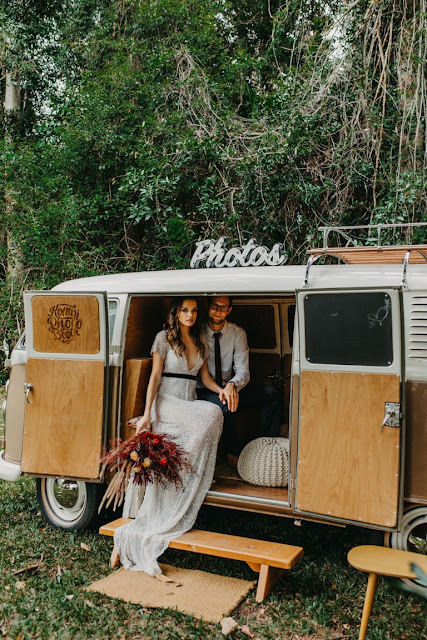 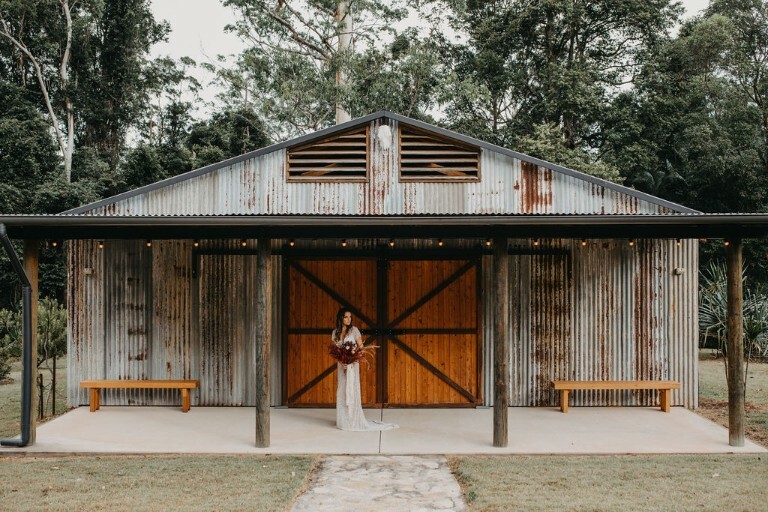 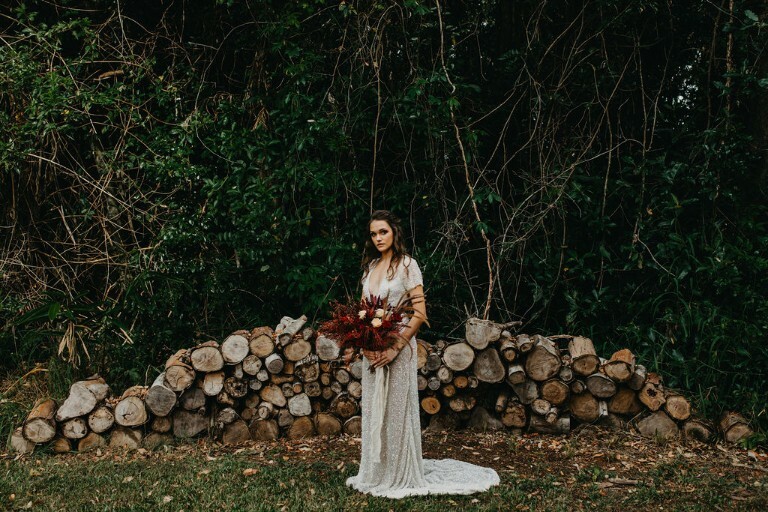 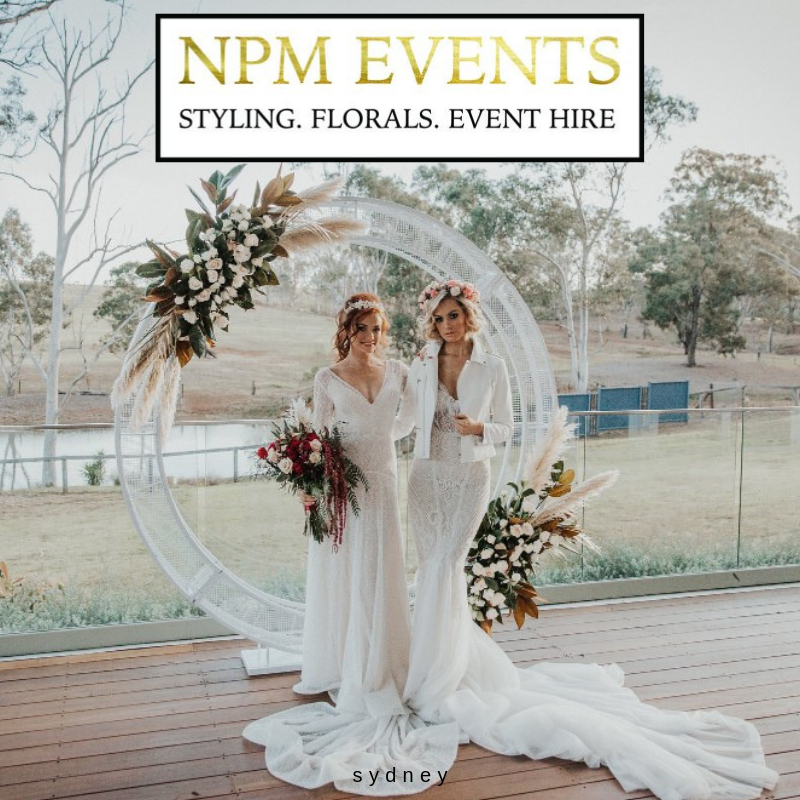 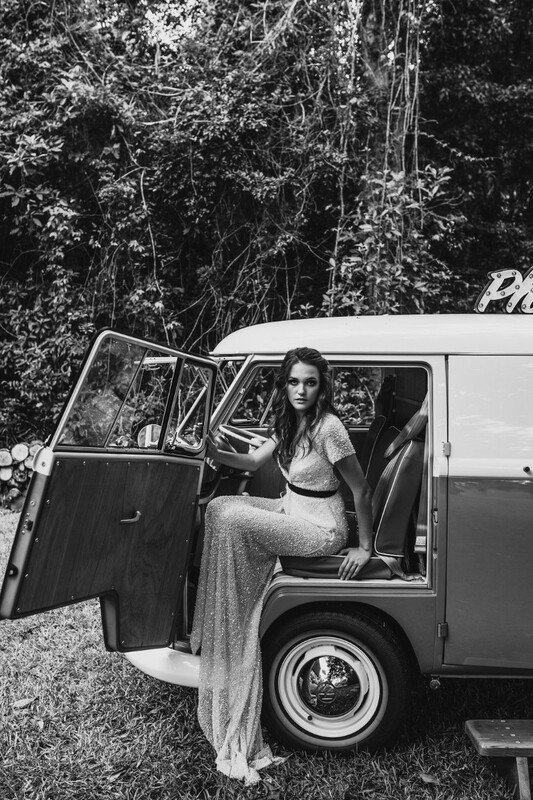 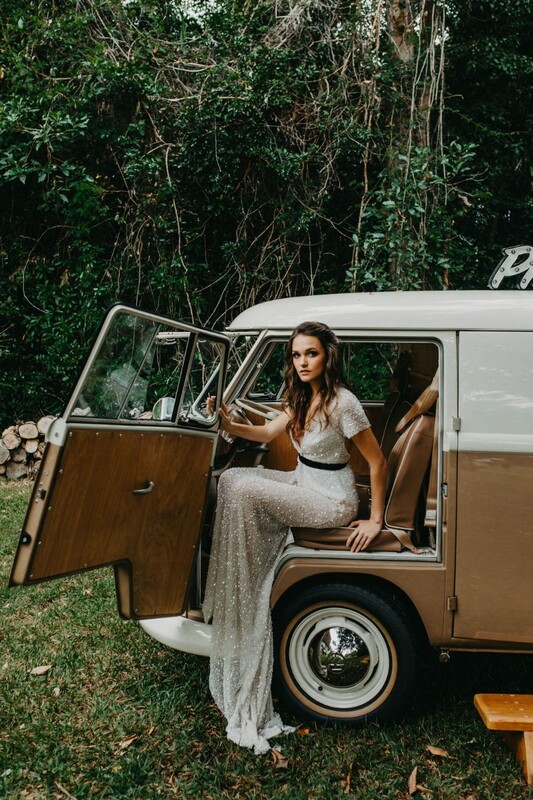 We wanted to find that perfect venue, one that would provide us with a stunning setting for portraits but one with its own character and rustic charm. 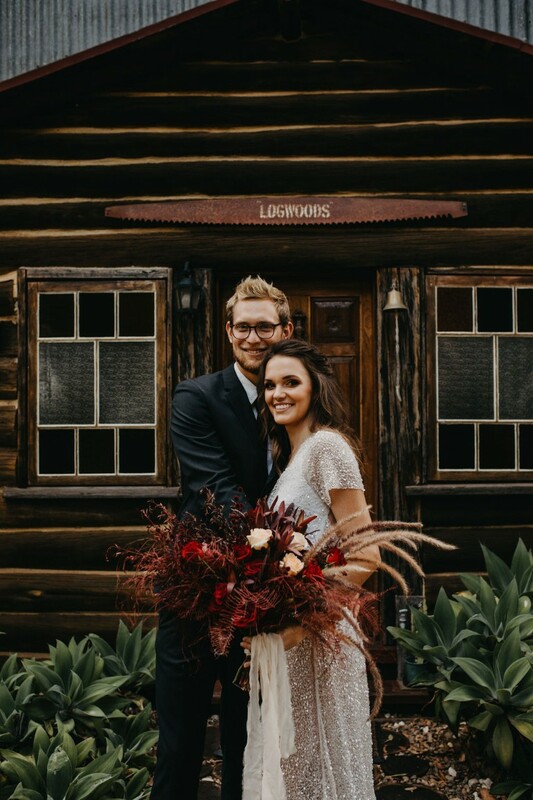 That is when we found Logwoods Homestead. 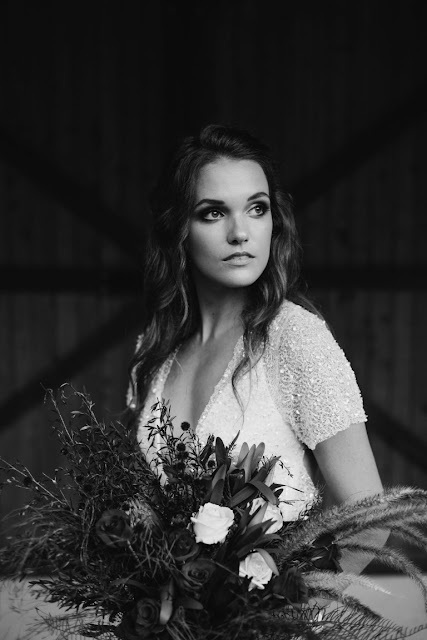 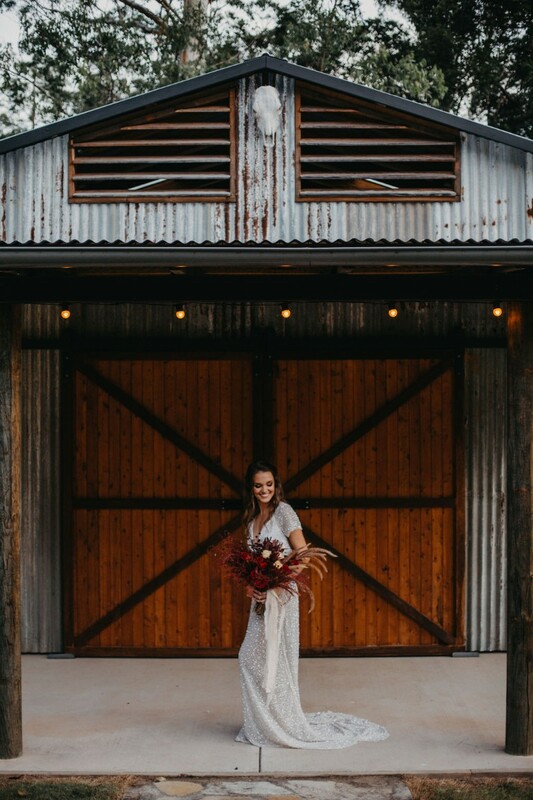 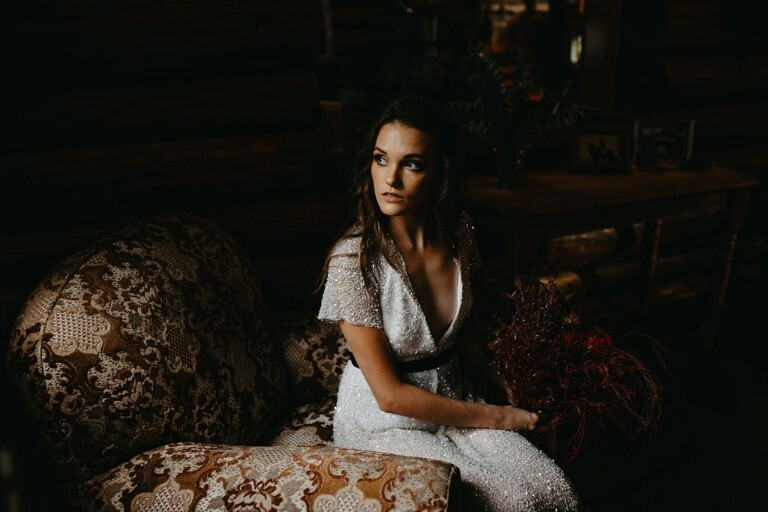 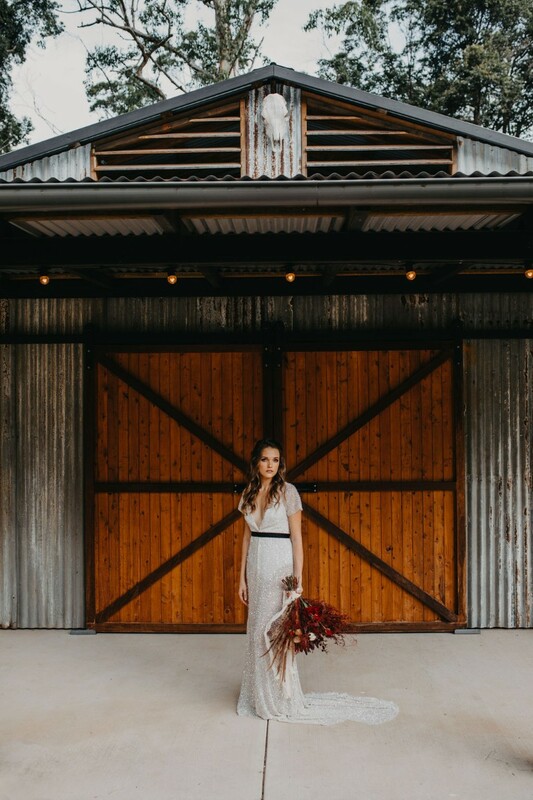 The awesome Barn located on the lower level of the property was the perfect backdrop for the styling portion of the shoot. 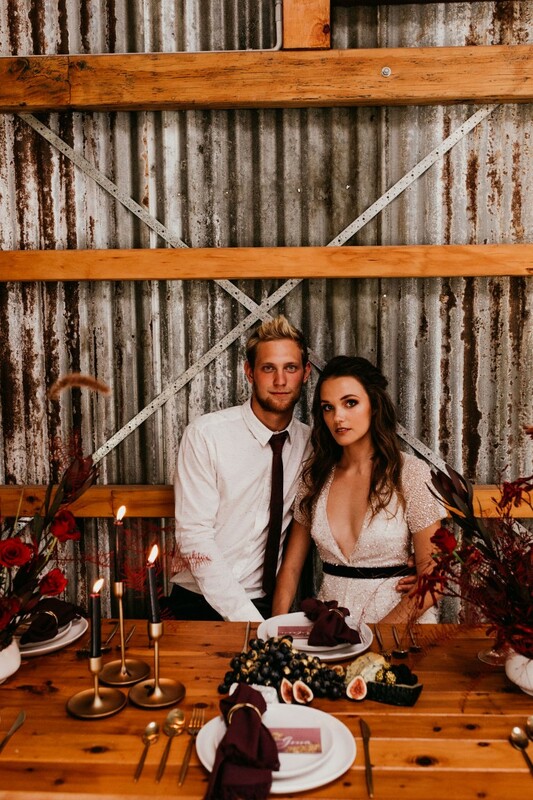 The natural timber sliding barn doors were gorgeously paired with the weathered tin walls, and warm festoon lighting. 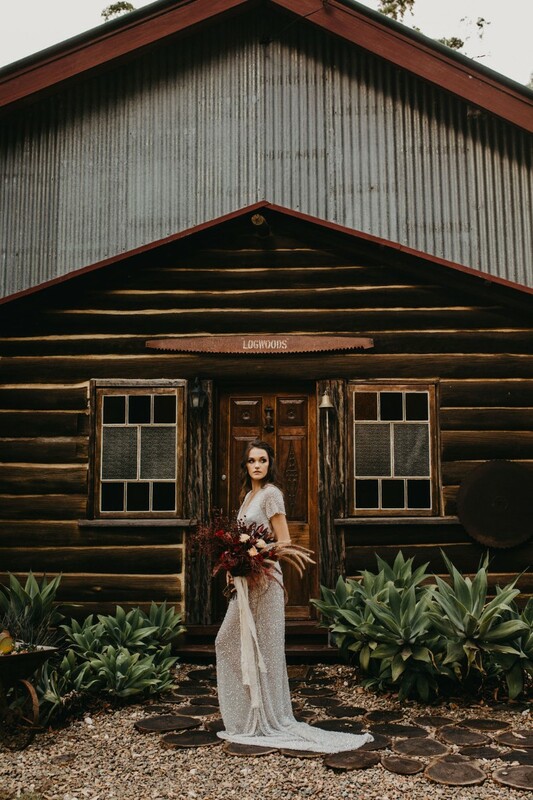 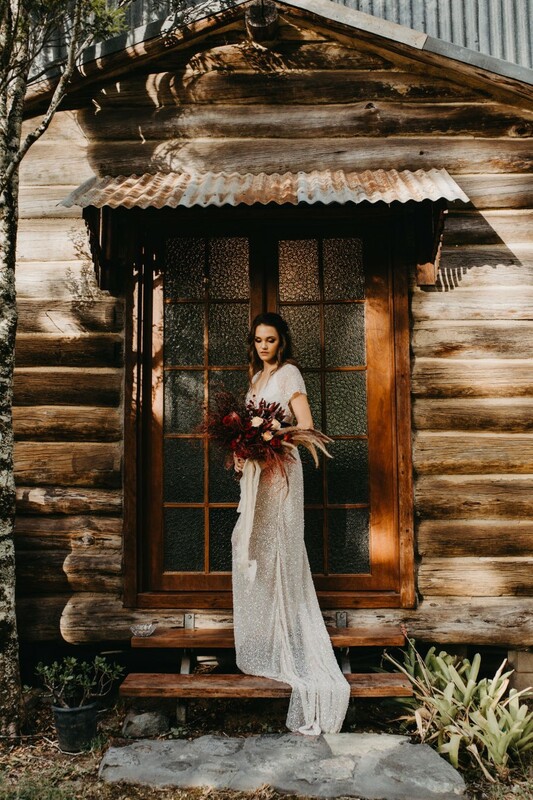 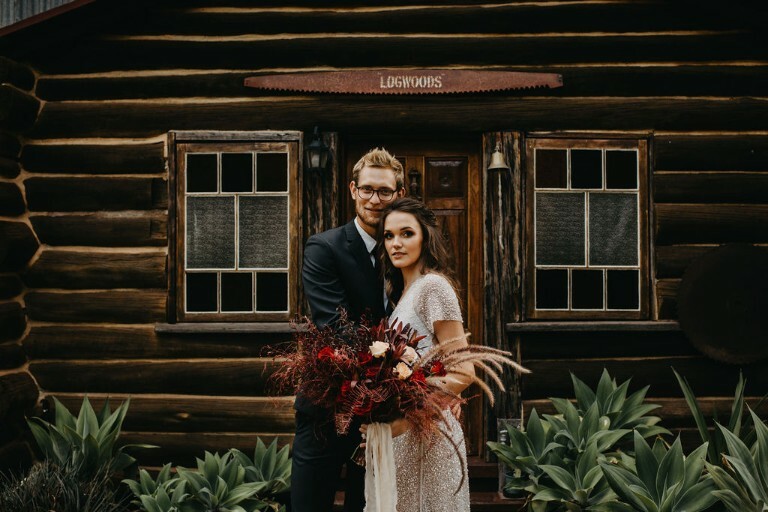 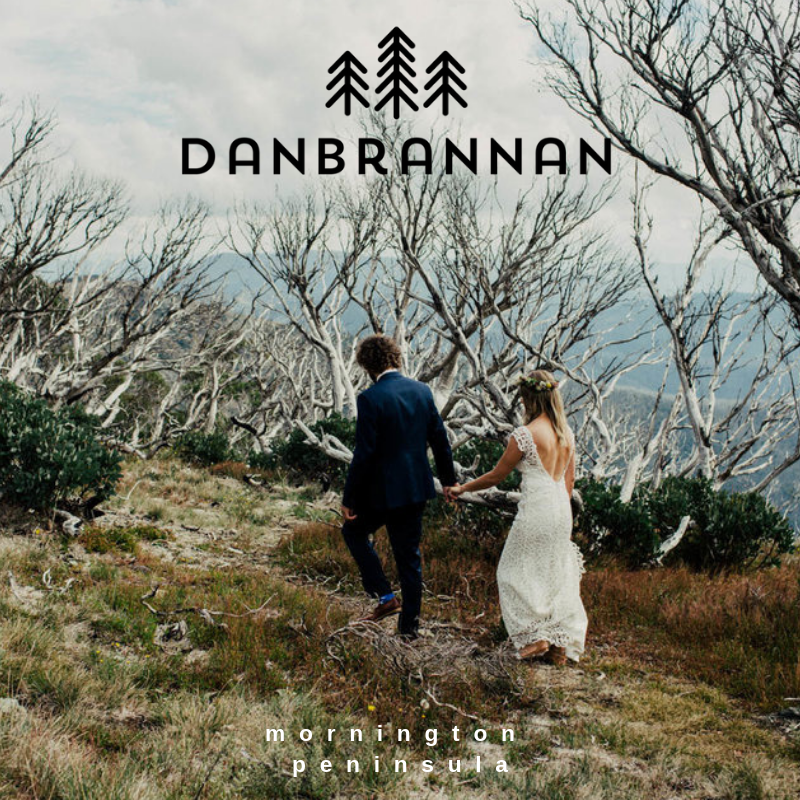 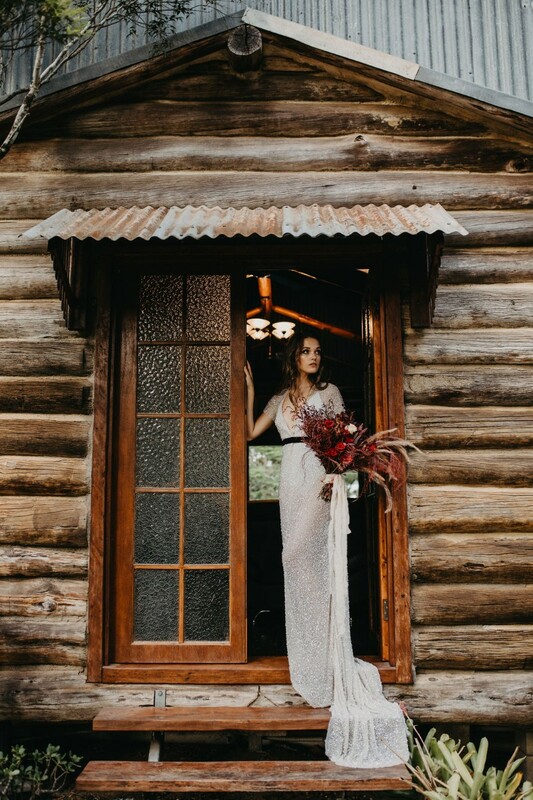 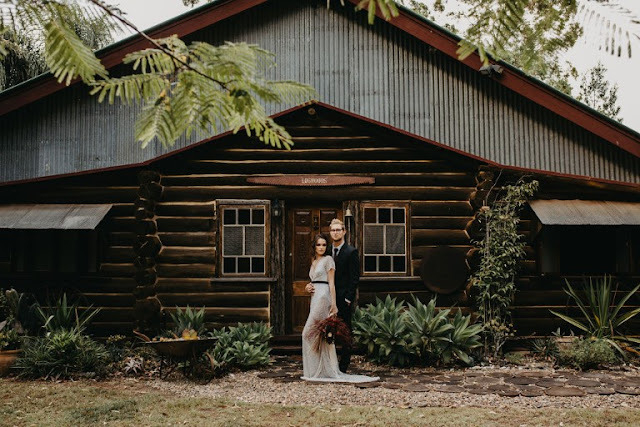 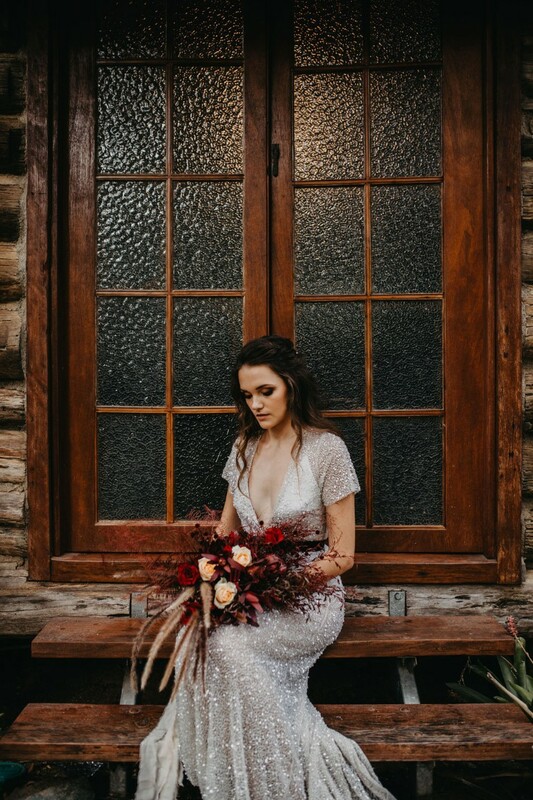 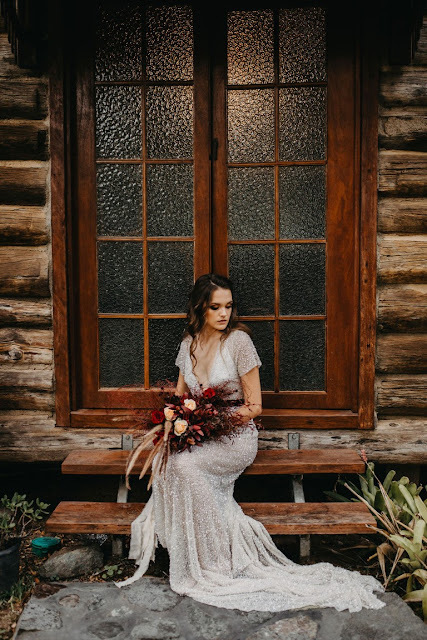 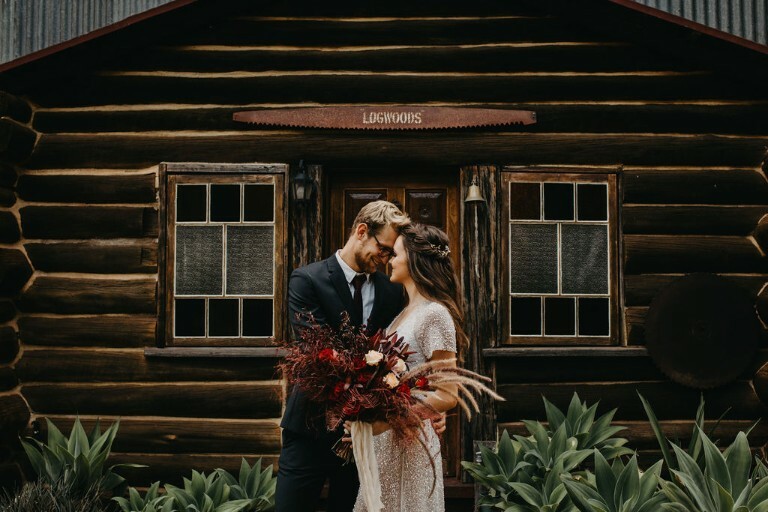 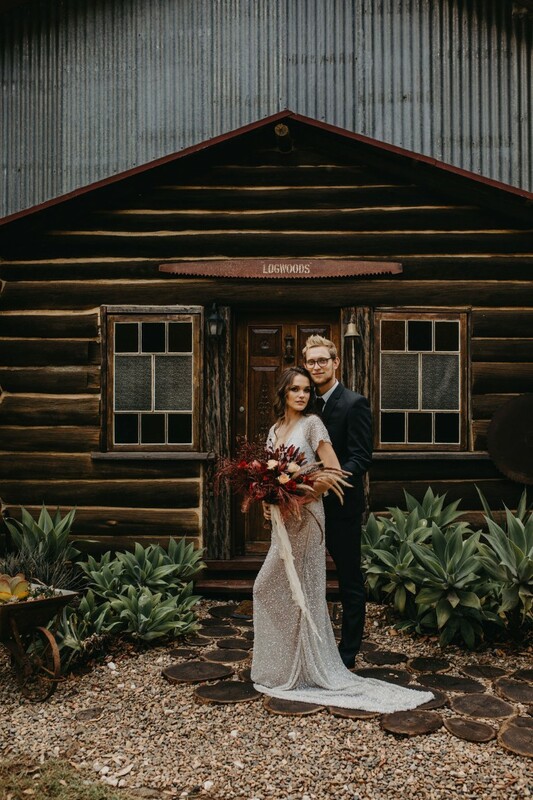 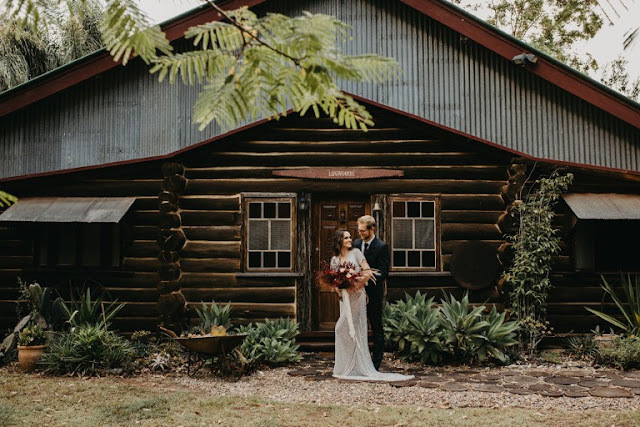 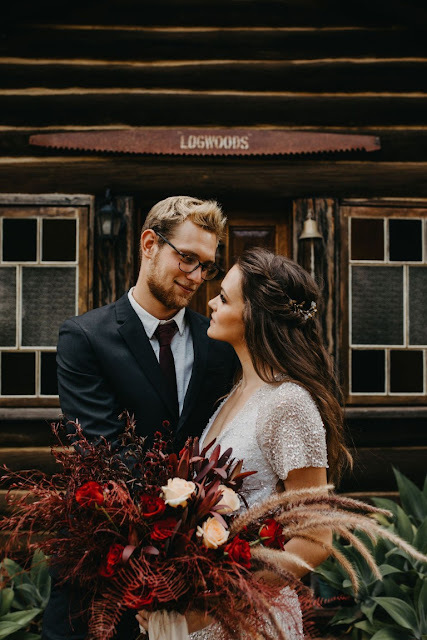 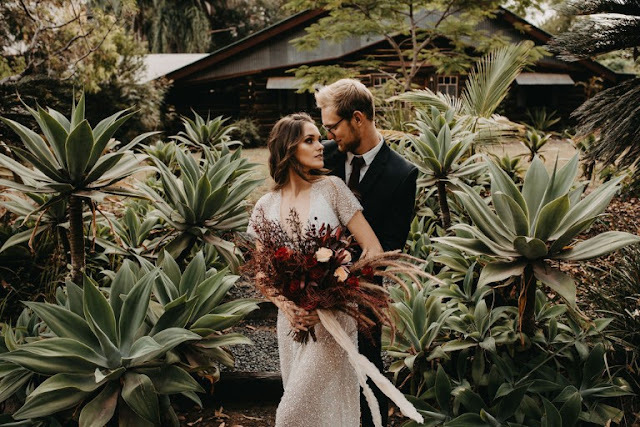 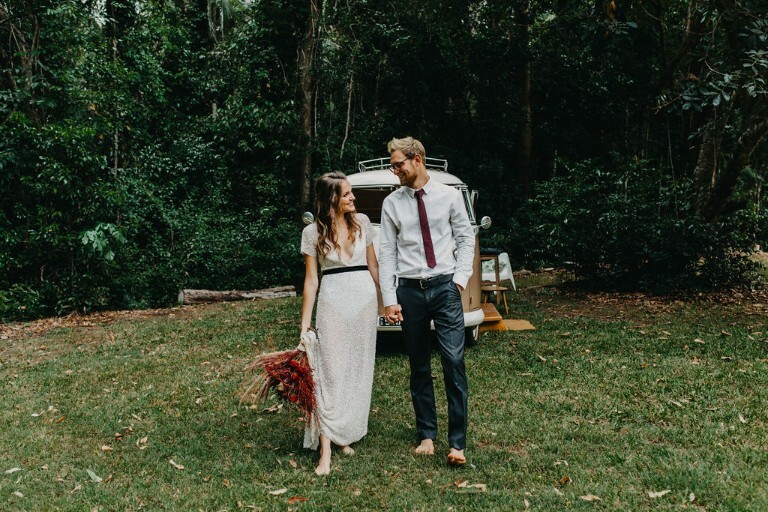 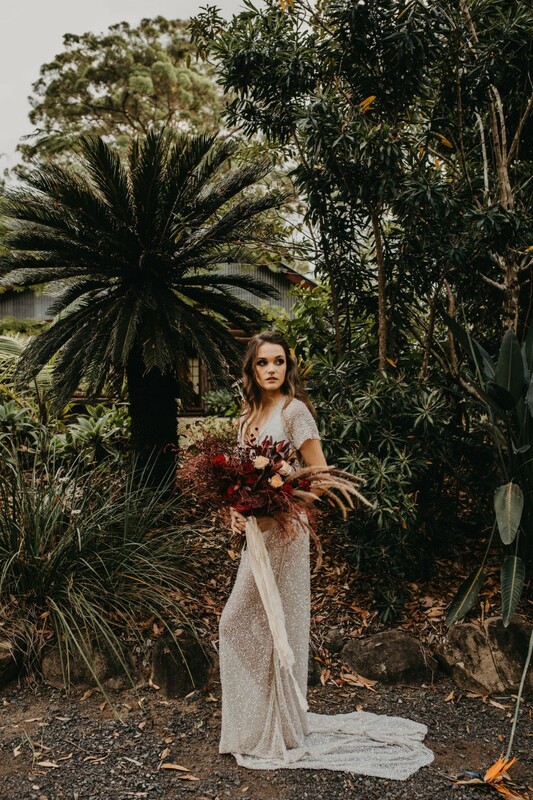 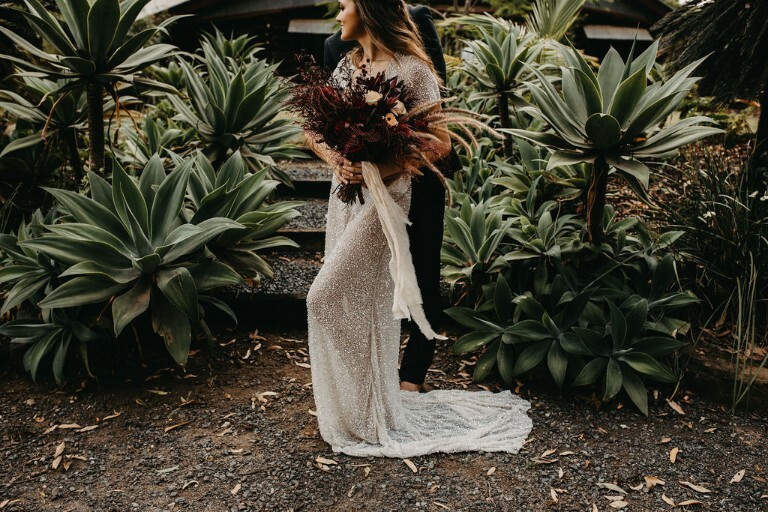 The grounds provide numerous locations for couple portraits, but we simply fell in love with the real show stopper which is the log cabin accommodation at the upper most part of the grounds. 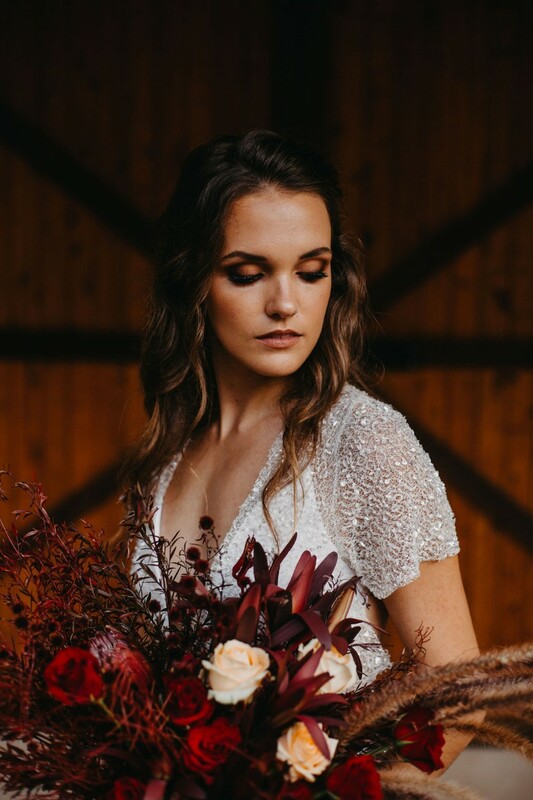 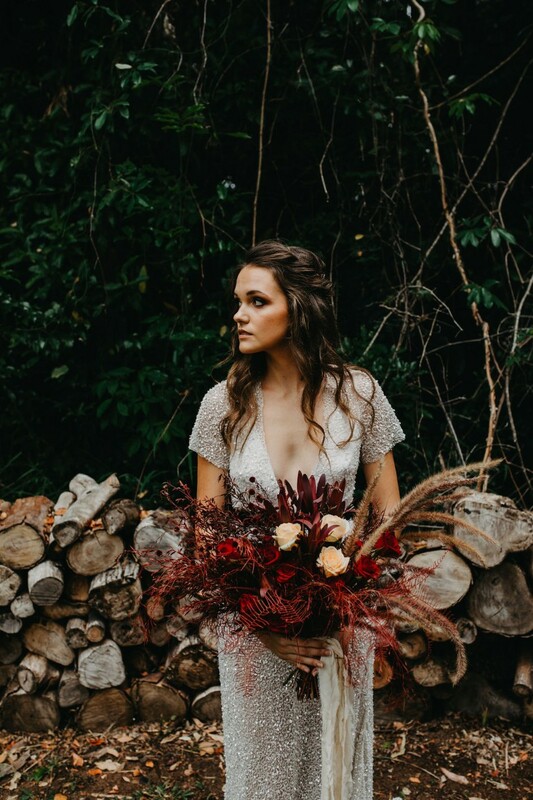 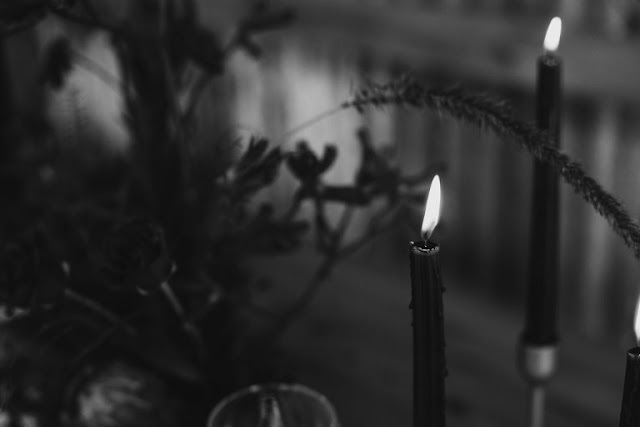 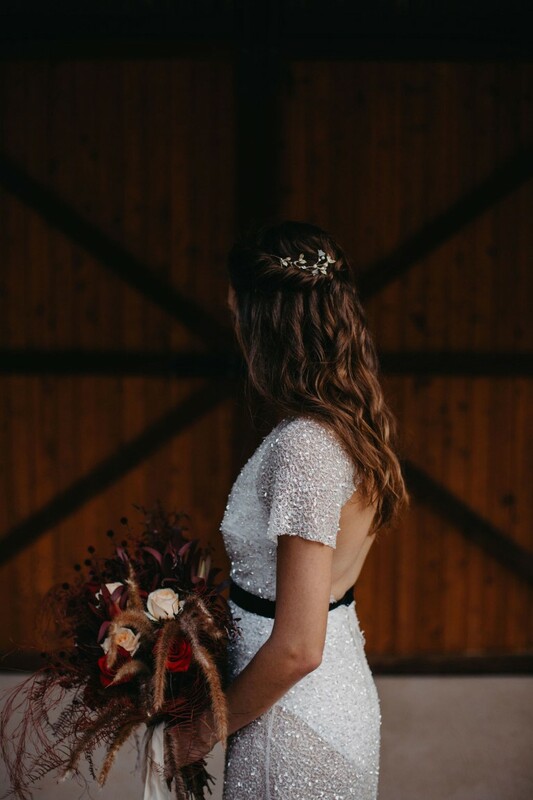 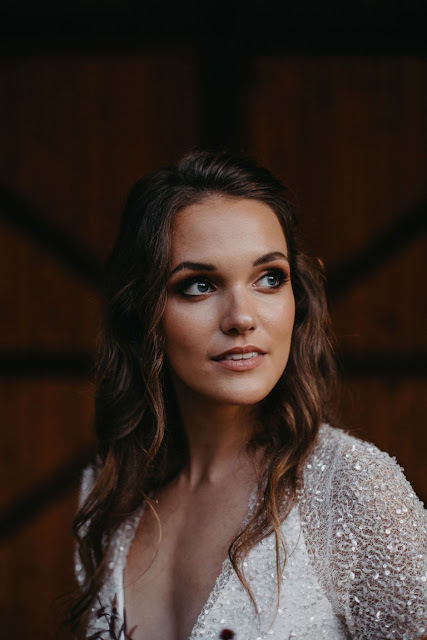 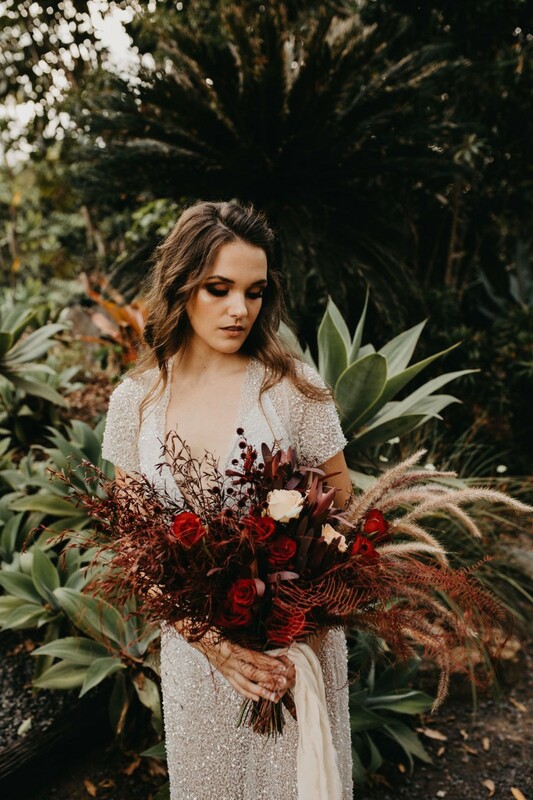 This alone had so much moody charm and character, when paired with the perfect lighting and stunning bridal styling, it brought our vision to life more than we ever could have hoped for. 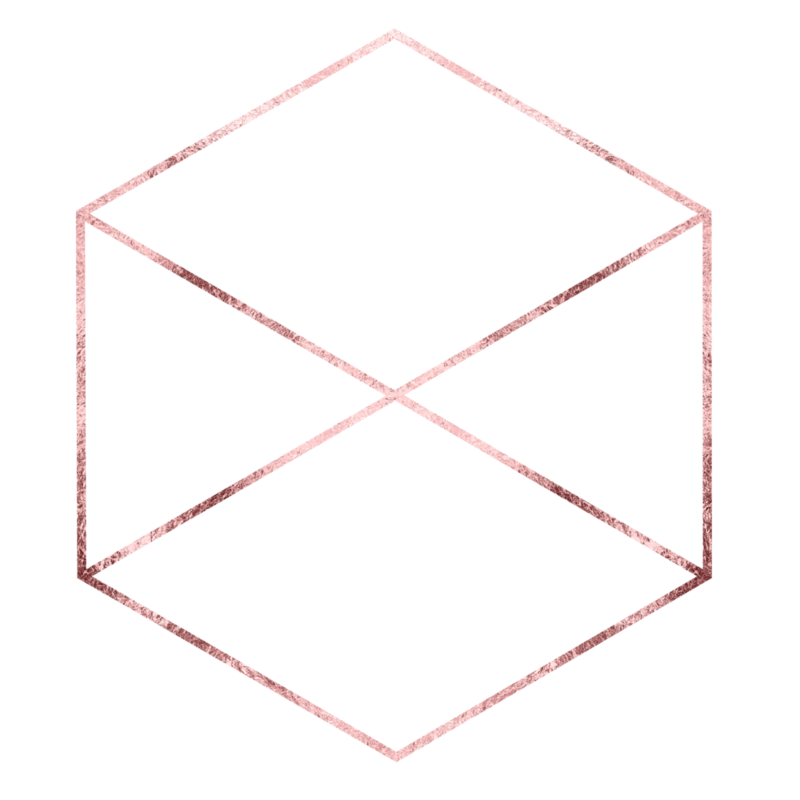 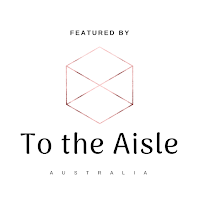 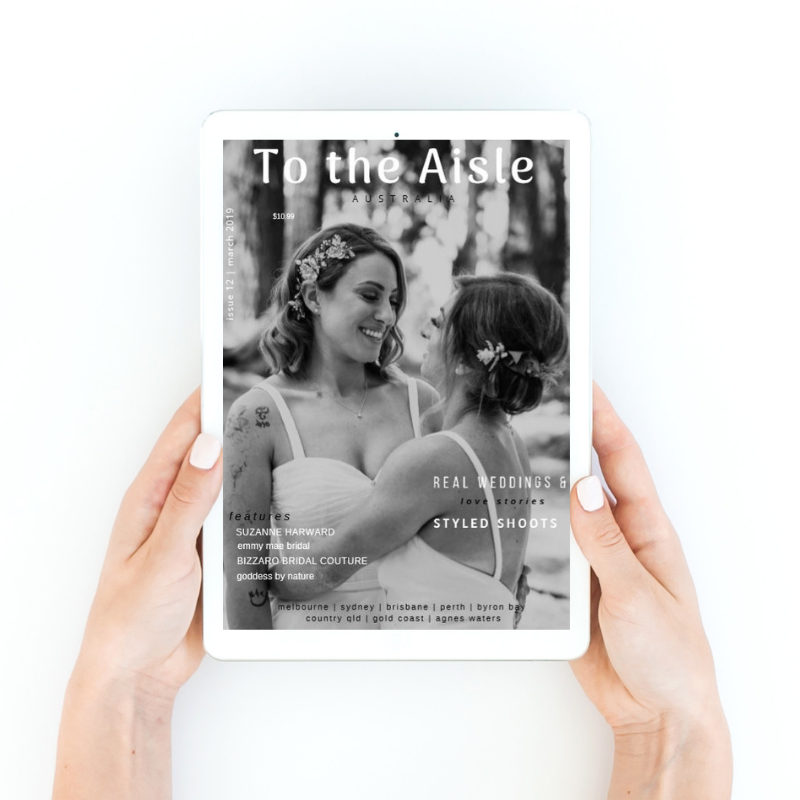 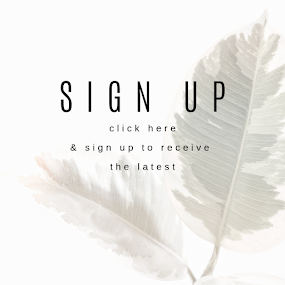 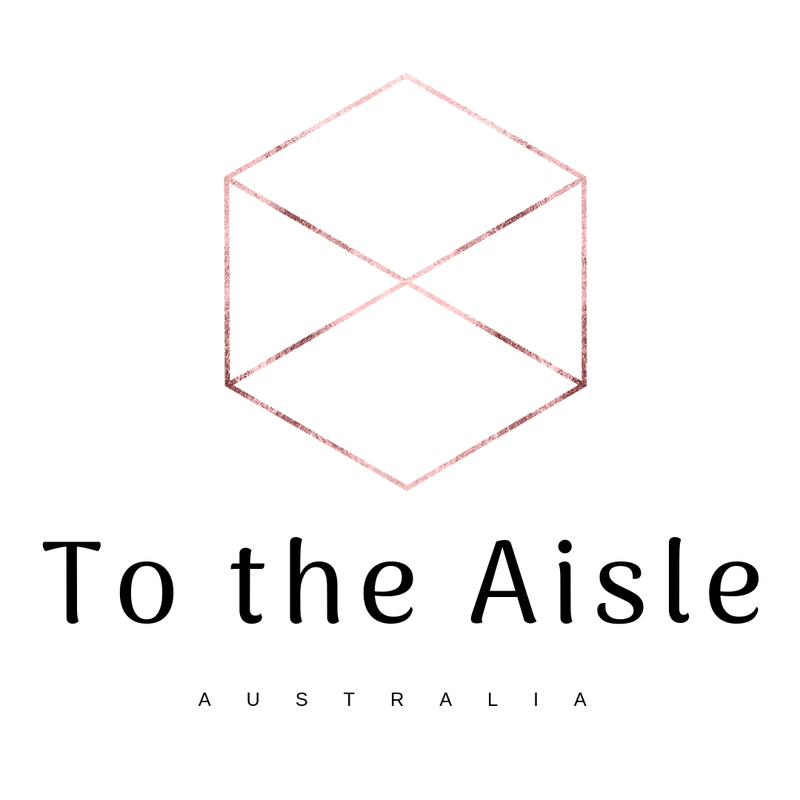 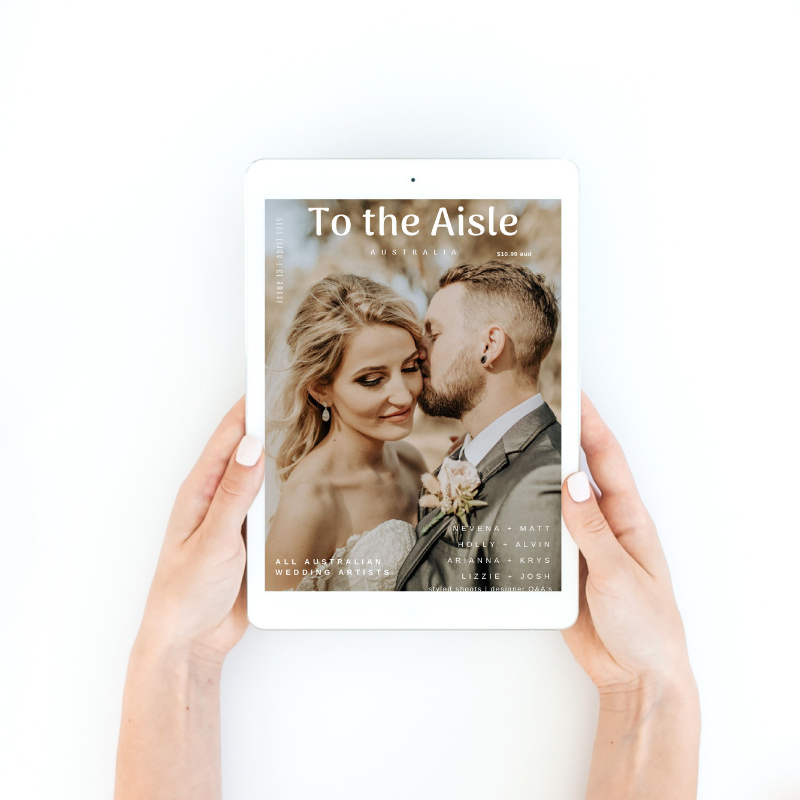 Leading up to the shoot, I was simply amazed by all the awesome vendors that jumped on board to help bring this idea to life and after weeks of planning, watching us all unite on the shoot day was such a great moment! 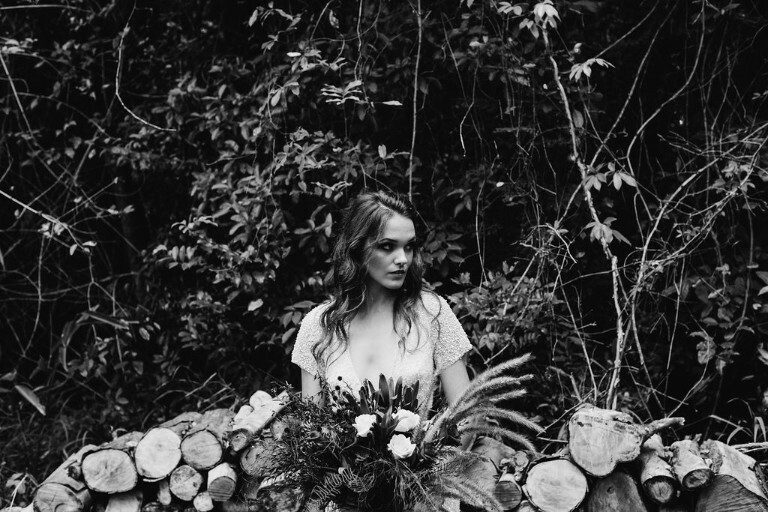 We originally planned to have one model for this shoot, our gorgeous female model, Zoe. 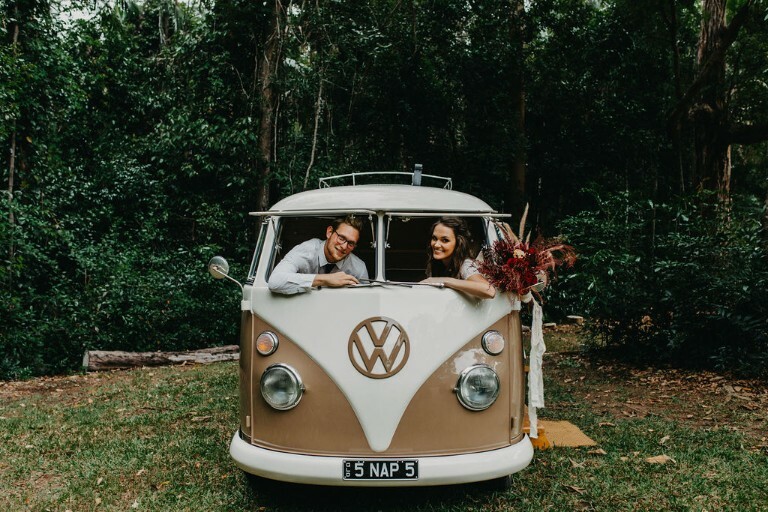 But after rocking up at prep with her boy... friend (a handsome German backpacker who at that time they had not DTR’ed yet!) 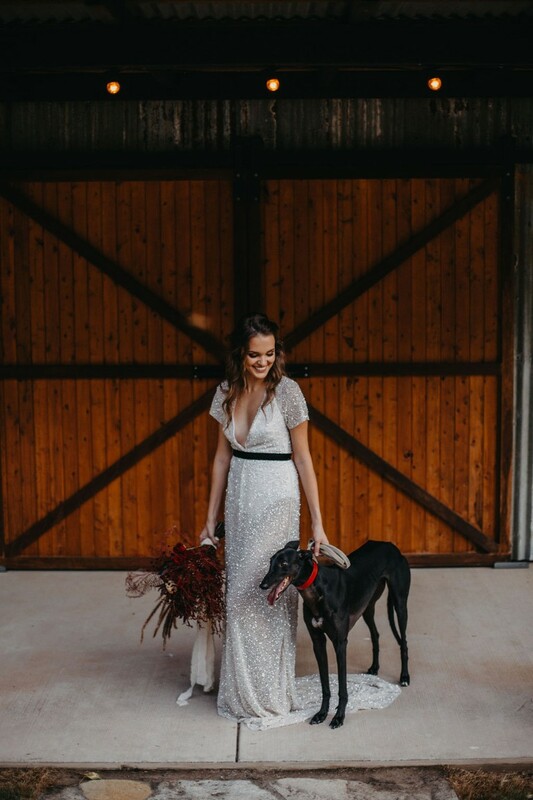 we coaxed him into joining the shoot. 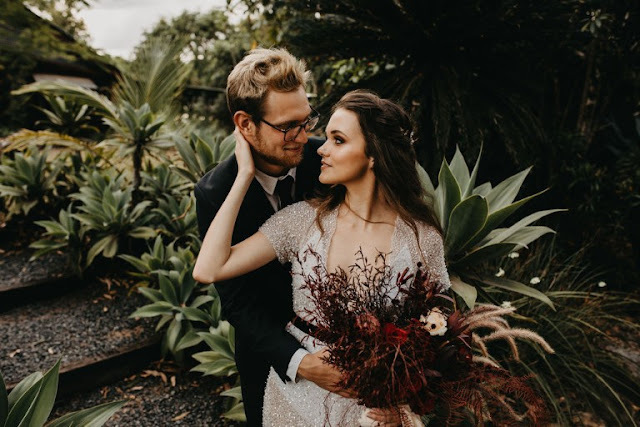 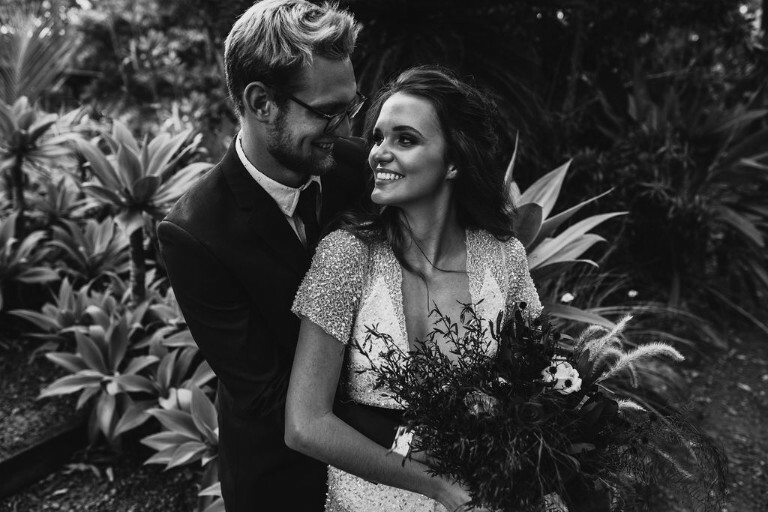 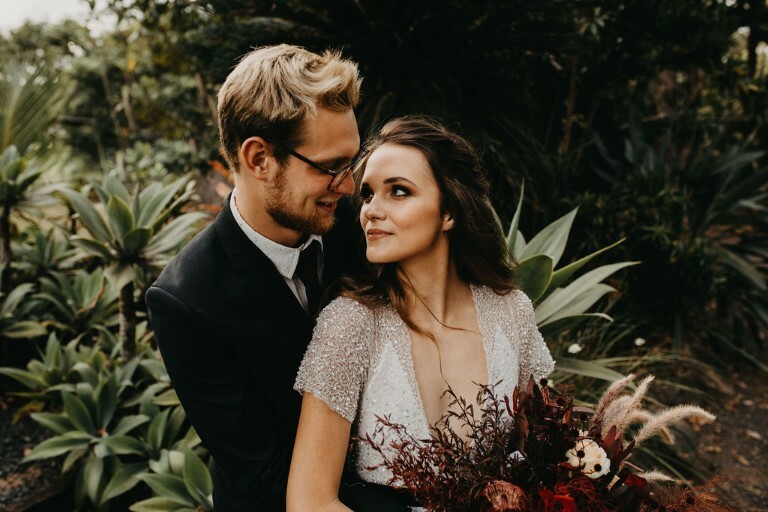 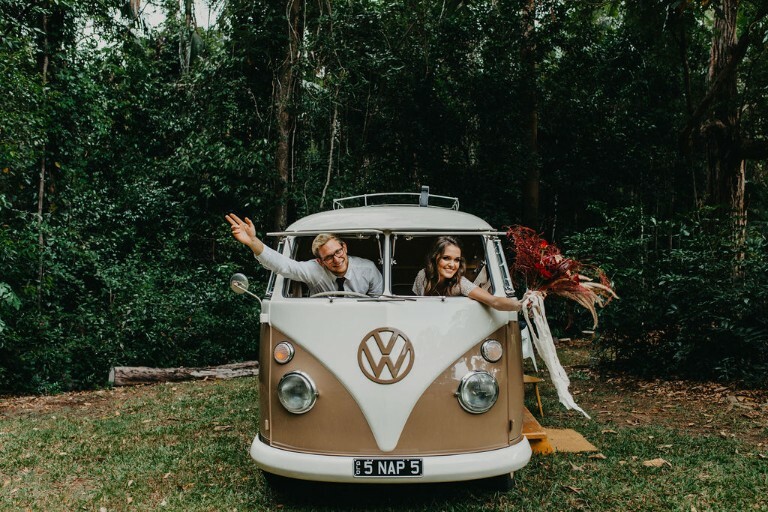 No, it may not be the most conventional way to gain a male model, but after borrowing a suit from the owner of the venue, we found that our styled shoot had became an adorable couple session for these two, but in wedding attire! Now I am simply a sucker for adorable moments and the quirky ways life throws adventures at you, and honestly, capturing these two and this cute moment for them was greater than any styled shoot we could have put together. 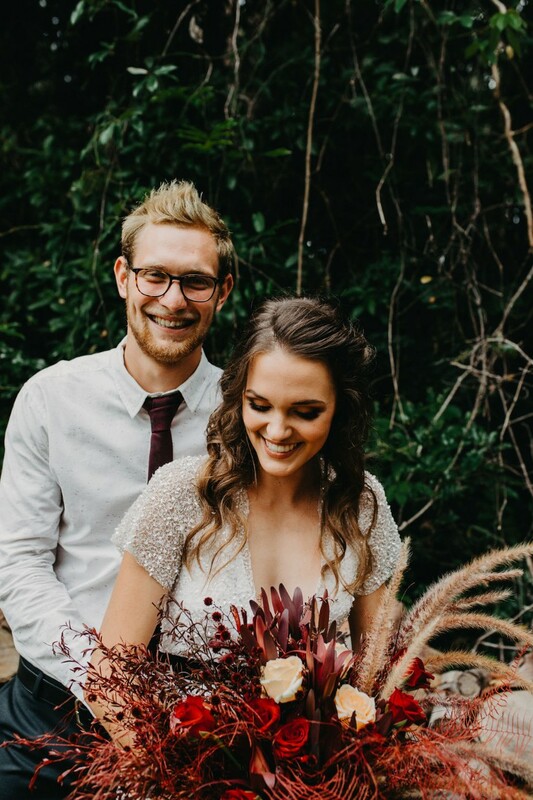 So yes, when checking out the photos, those smiles are 100% real!